Leisure Wear Made by Canterbury of New Zealand. 60% cotton 40% polyester sweat shorts with an elasticated waistband and drawcord. These leisure shorts have side pockets and large CCC applique design to the right leg. 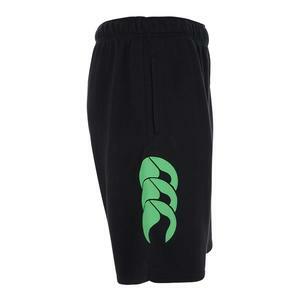 60% cotton 40% polyester sweat shorts with an elasticated waistband and internal drawcord.